welcome to three little piglets! Three little piglets aims to create an easy and enjoyable shopping experience for all our shoppers! Products sold on our website have been carefully selected to meet the needs of everyday life for kids and parents – high quality, adorable looking and yet practical! 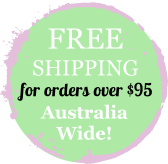 We hope you love our products as much as we do…….. and let’s get shopping!! Shopping is the best therapy! Terms & Conditions. Privacy. Copyright © 2016 Three Little Piglets. All Rights Reserved. Logo Design by Goding Consuting. Web Design by SiteFresh.